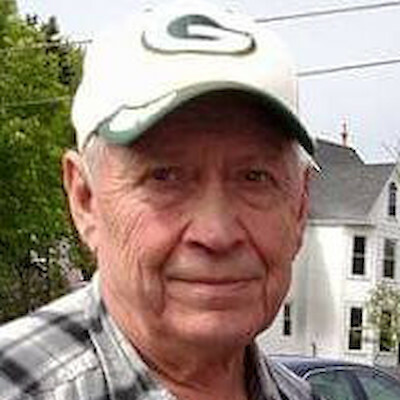 Charles S. Swonger, 80, of Superior, died Monday, April 8, 2019, at St. Luke’s Hospital in Duluth. He was born in Spooner, WI, on September 9, 1938, the son of Samuel and Ethel Swonger. Charles served honorably with the US Navy and was a member of the VFW. He began working as a machinist and city bus driver in Milwaukee. He then worked as a welder for Frasier Shipyards, as maintenance worker for the Chamber of Commerce, and cleaned for Jack’s bar in Superior. He enjoyed tinkering and could fix anything. He enjoyed watching sports, especially the Packers. Charles loved the outdoors, hunting, fishing, picking berries… anything outdoors. He was very musically inclined. He played the organ, the accordion, banjo, and guitar. Many times at family functions, usually a family bar of Elsie’s, Chuck, along with his cousin Eddie Zehm and brothers Buster, Raymond, or Charlie, would all play music and the family would dance the night away. He was preceded in death by his parents; wife, Ida Lee; siblings, Bill Swonger, Walter ‘Buster’ Swonger, Elsie (Lawrence) Usselman, and Ethel ‘Scal’ Hathaway; brothers-in-law, Charlie Hathaway, Gene Lawrence, Lefty Usselman, Joseph Blair, Al Dubois and Custer Foster; nephews, Raymond Hathaway, Sam Hathaway, Delmer Clayton, Terry Lawrence and James Lawrence; and special friend, JoAnne. Charles is survived by his children, Leroy Swonger of Chippewa Falls, WI, Marvin Swonger of Superior, Janice (Matt) Wurtinger of Luck, WI, Donna (Doug) Young of Roberts, WI, and Ethel (Cary) Merzwski of Superior; grandchildren, Angela (James) Stinski, Amanda Swonger, Kimberly Swonger, Kenna (Brandon) Degner, and Emilee Organ; three great-granddaughters; sisters, Dorothy DuBois and Wilma ‘Tookie’ Foster; sisters-in-law, Grace Swonger and Sue Swonger; many nieces, nephews, and infinite cousins. The two important friends of Chuck's who watched over him were Karen Geegan and Debbie Siegel. Burial will be in North Wisconsin Veterans Memorial Cemetery in Spooner. A Celebration of life will be announced at a later date. Downs Funeral Home, 1617 N 19th St., is assisting the family with arrangements.